The above quote signifies how daunting public speaking is to many. But for Form 5 student Keshaavi A/P Peramasivan, it is a natural gift. 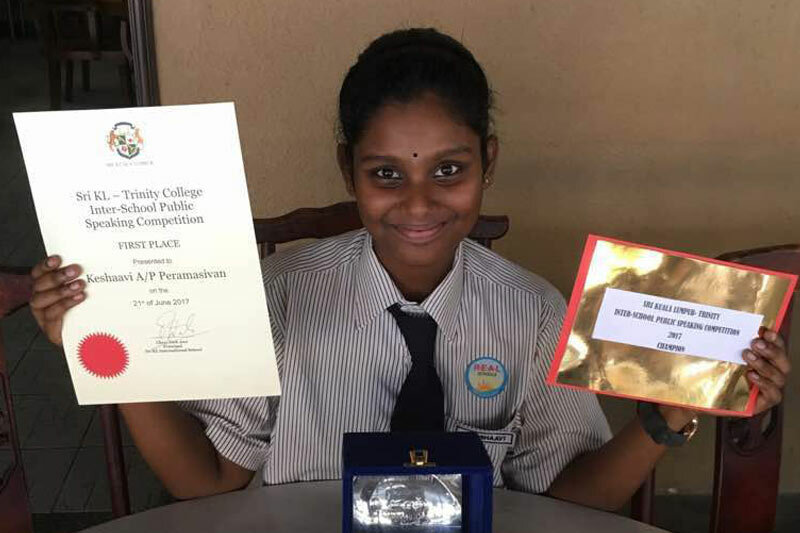 Coupled with her exceptional English skills, she was an easy choice for the role of representing R.E.A.L Schools, Shah Alam Campus in the Sri Kuala Lumpur/Trinity College Inter-School Public Speaking Competition that was held on 22 June this year. Competing with 13 other participants from top schools in the Klang Valley such as SMK Seafield, SMK Damansara Utama and Wesley Methodist School Kuala Lumpur; the competition was most definitely no walk in the park. Keshaavi put on a great show however, leaving her audience in stitches and ultimately, walking away with the 1st prize! At only 17 years of age, Keshaavi blew away the competition with her eloquence and wit. Guided by the Head of English Department, Ms. Veni, and with hard work and determination, Keshaavi held all the aces despite facing stiff competition. She is also the latest to represent Sekolah Seri Cahaya in the school’s proud and long-running tradition of participating in every edition of the meet over the last 15 years. This prestigious public speaking competition equips students with the skills necessary for success in their future endeavours such as learning how to think clearly, speak persuasively and overcome stage fight effectively. It also provides students with a transformative learning experience that helps them to build overall confidence, commitment and competence. Keshaavi’s achievement would motivate more students to step forward and participate in competitions of similar stature. It is hoped that by exposing students to bigger platforms to showcase their talents and skills, R.E.A.L would provide them with invaluable life lessons and real-world experience. 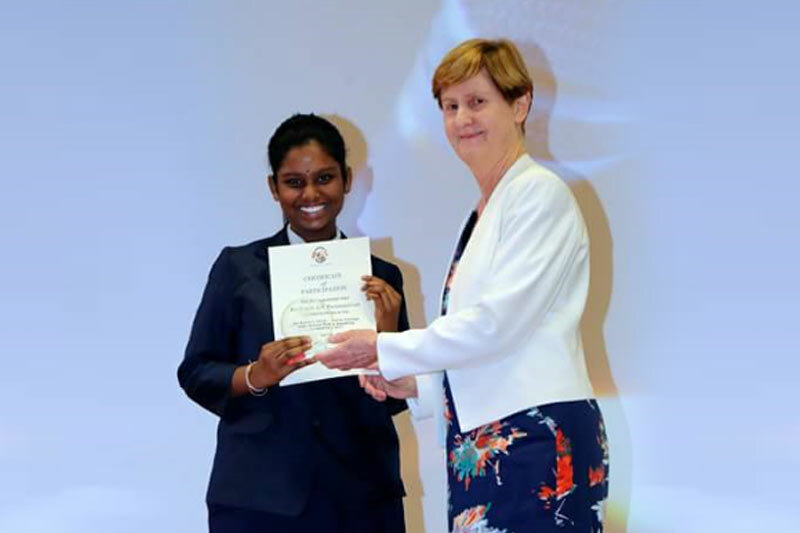 The post Cahayan Wins Inter-School Public Speaking Meet appeared first on best international schools in malaysia.